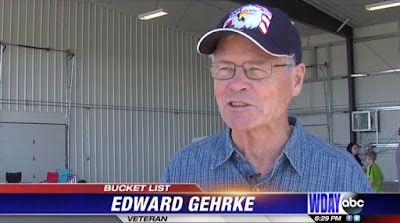 DETROIT LAKES—One man is checking off things from his bucket list as he takes flight. Edward Gehrke isn't a stranger to risks. The 76-year-old Vietnam Veteran spent his life trying to experience as much as possible. 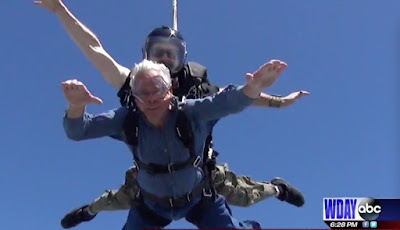 This past Sunday he took a new leap, right out a plane window. While at the Detroit Lakes air show he saw others skydiving and decided to give it a try.